We are a small kennel located on almost 30 acres in the Midlands of South Carolina. We have owned Flat Coated Retrievers and been in active in AKC events since 1999. We are dedicated to the breeding of dual purpose Flat Coats. 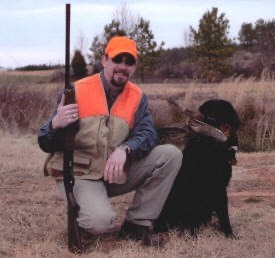 Our goal is to breed sound, healthy dogs that display correct temperament and type as well as maintaining the desire and will to spend the day out hunting birds. We are members of the Flat Coated Retriever Society (FCRSA) and abide by the FCRSA’s breeder’s code of ethics. Our first litter was born in 2005. We are not a commercial kennel and only have puppies occasionally. The Flat Coated retriever is a wonderful family companion, although it is not suited for everyone. 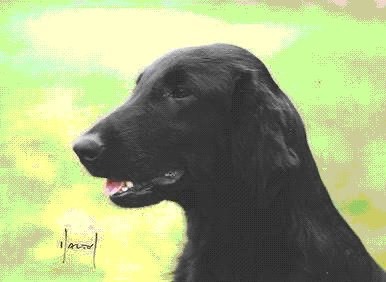 Flat Coats have not split into show and field lines as have most of the retriever breeds and have therefore maintained a rather high energy level and desire to retrieve. 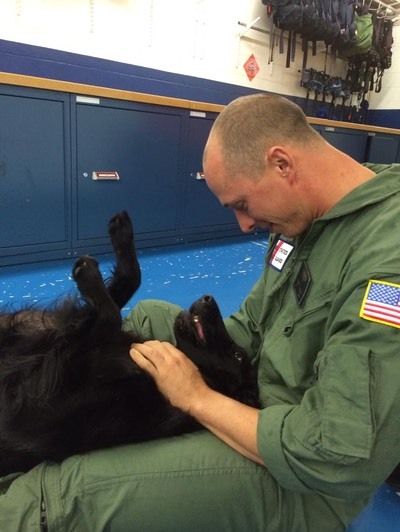 The Flat Coat is known as the "Peter Pan" of the dog world. The breed matures slowly and keeps a whimsical outlook on life until the very end. They are not just a "black Golden". 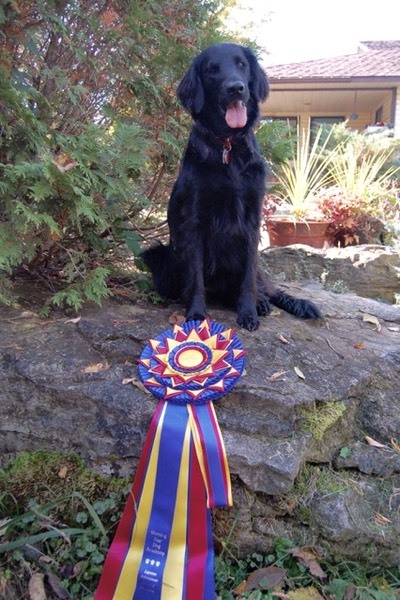 The Flat Coat is in general a high energy breed with lots of intelligence, a sweet disposition and a willingness to please. They are happiest with their family and something in their mouth. They do not make good yard or kennel dogs, they need to be part of the family. We call ours "velcro" dogs, as they follow us everywhere through the house, even into the bathroom! Unfortunately, cancer is a problem in the breed. The average life span of a Flat Coat is generally 7-9 years. There are no cancer free lines and if a breeder tells you that, we would suggest you contact another breeder. As with most other large breeds, there are incidences of hip and elbow dypslasia. Patella luxation (slipping kneecaps) can also be a problem. Inherited eye disorders such as PRA, cataracts and glaucoma can also affect the breed. All of our dogs are screened for hip and elbow dysplasia, patella luxation, and hereditary eye diseases before being bred. Please check our upcoming litters page or contact us for more information about our dogs or Flat Coats in general. Our first Flat Coat, Apollo, Ch. Riverly Rocket to the Sky CD JH WCX, came from Elizabeth Montgomery in 1999. Nikki was only interested in showing in AKC obedience trials but thanks to Liz’s encouragement Nikki entered her first AKC conformation show and soon after became intereseted in field training as well. 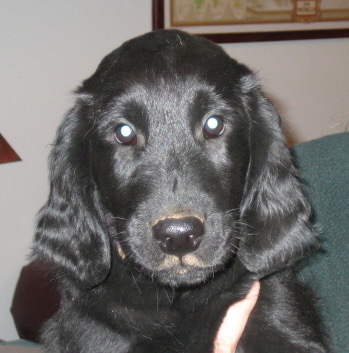 Once we had one Flat Coat, we were hooked on the breed. In 2001, we acquired, Jasper, Ch. Bertschire Absolut Decision CDX JH WC from Andrea Holsinger and Kass Goulding. It wasn’t until 2005 that we had our first litter. 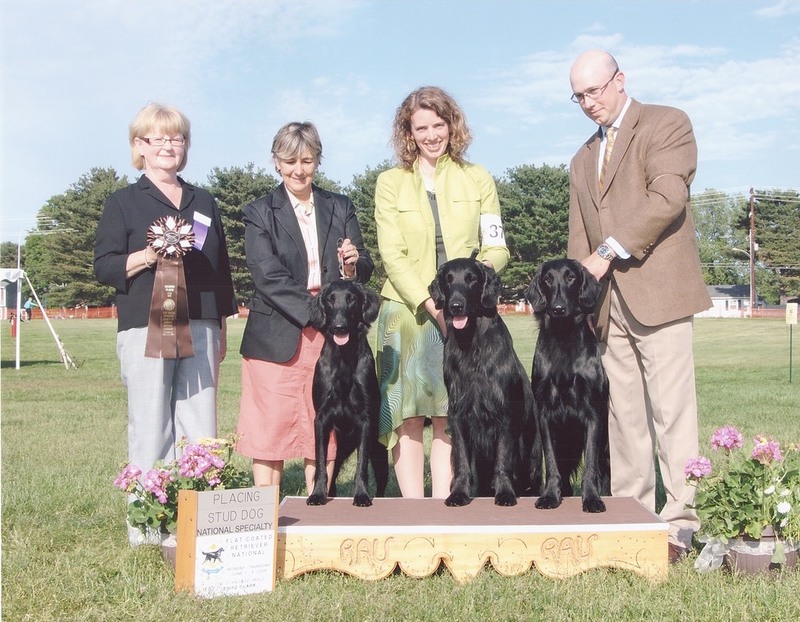 We decided to wait to have our first litter because it was very important to us and the well being of our breed to learn as much as possible about Flat Coats before we started breeding. 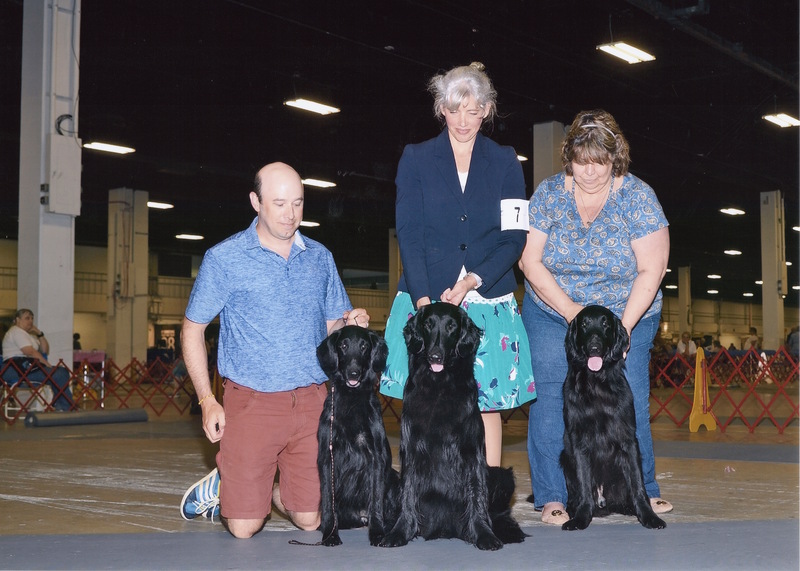 We wanted a nice foundation for our breeding program and in order to attain our goal we needed to meet and talk to longtime Flat Coat breeders. We have traveled all around the United States and Europe to learn more about the breed and meet different breeders and their dogs. We feel there is always more to learn about this breed and breeding, so this is an ongoing process.